Bonjour bibliophiles! 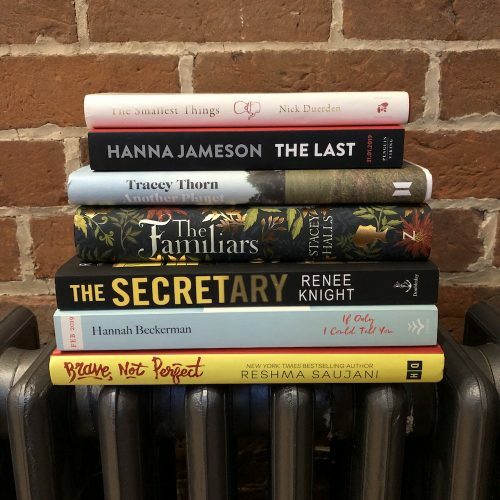 Autumn is a tres exciting time for new books, with all the publishers pushing out their big-hitters in time for the Christmas market. 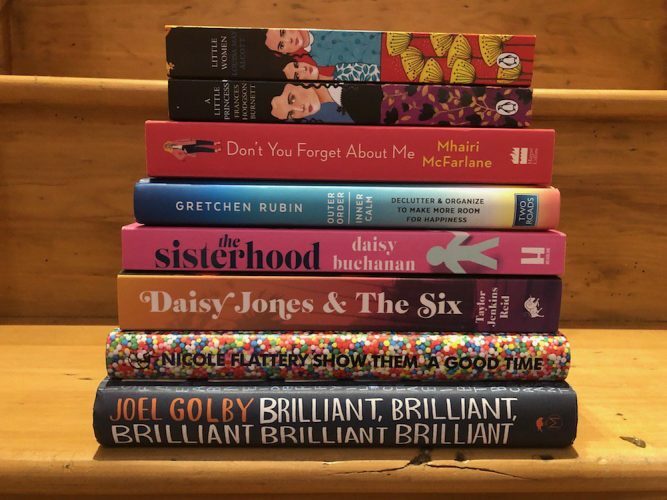 So many books, so little time but here are four September tomes that’ve floated my boat – I hope you will go forth and get stuck in. As always, we’d love to hear what you think – and what you too have been reading. Literary musings in the comment box below, please! With 35m novels sold worldwide over two decades, veteran Irish writer Marian Keyes is a literary force, universally loved for her warm, witty, wise take on modern womanhood. Her thirteenth novel explores how to navigate a long-term relationship – a theme that’ll resonate with, ooh, 97 percent of her readership, I reckon. Amy’s husband Hugh has decided to take a break from their marriage, life and children, and plans to bugger off travelling for six months. How lovely for him, right? Will his absence send Amy over the edge – or will she prefer life without him? I adored ex-physicist Sedgwick’s dazzling debut literary novel, The Comet Seekers, a critically-acclaimed, super-smart love story that’s anchored in an Antarctic scientific research centre but spans centuries, and multiple locations. Her new one is just as brainy and ambitious. It’s set in an alternate reality where anyone can grow a baby in a biotech pouch, a situation that liberates women from the potential dangers of childbirth and breaks down the barriers to having a family, but also poses many murky moral questions. Protagonists Eva, a campaigner, and journalist Piotr, her ex, join forces to investigate pouch provider FullLife in a story that’s as personal as it is philosophical. Clever stuff. How about a late-summer sizzler? Perry is known for her bonkbusters (think a more glam, urban Jilly Cooper) but this, her 12th novel, also has a thriller element. 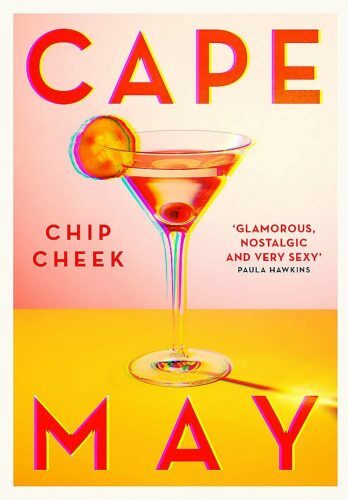 She’s brill at conjuring up an evocative sense of place and this one is set during a sultry summer in the Hamptons, amid latterday Gatsby types with opulent houses and decadent parties. British ex-pats Jem and her husband Nat are invited to join a fancy weekend house-share by their fast-living new New Yorker friends. When it transpires that one of last year’s guests drowned in the pool in mysterious circumstances, Jem turns amateur sleuth. It’s a fun, twisty page-turner but at the same time deftly written – not an easy trick to pull off. I’m usually allergic to anything vaguely trite or cheesy but this cute little book struck a chord. Its message is simple: kindness is the glue that holds society together, so be kinder and the world becomes a better place. In these brutal, divisive socio-political times that’s worth flagging up, don’t you think? Each week Jaime Thurston’s charity 52 Lives harnesses the kindness of strangers worldwide to change the life of someone in need. Her book is crammed with small ideas on how to spread the love – from donating to food banks to picking up litter, to paying compliments. All sound a bit touchy-feely? Well, turns out that being kind is actually good for your health, too: it releases artery-softening chemicals. Buy it for yourself or for, ahem, any grumpy gits in your life and look out for the accompanying #KindnessMatters social media campaign this month. By the way, did I mention you look lovely in that dress?